We proudly offer premier sealcoating, asphalt paving, and concrete services to the entire Valley! Family-owned and operated since 2004! 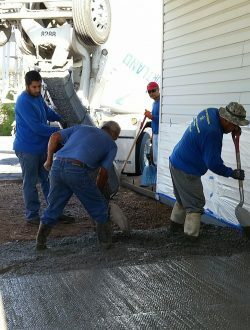 For more than a decade, Sunstar Seal Coating, Inc. has been providing communities in and around Phoenix, AZ with high-quality concrete and asphalt services. Our licensed, bonded and insured team is here to provide you with the paving solutions that you need for your home or business! Protect your paved asphalt surface with a liquid sealant. Repaving solutions for personal & commercial properties. Enhance your curb appeal with a brand new driveway or walkway with durable concrete. Since 2004, Sunstar Seal Coating, Inc. has been offering some of the most high-quality concrete and asphalt solutions in the Valley of the Sun. Our talented team can provide you with the services that you need to make your property’s exterior a more livable and workable space. We will assist you with repaving or paving a driveway, sidewalk formation and so much more. We are proud to be the premier paving company in Phoenix, AZ. We are known throughout the region for our detailed and dependable work. We can help you add value to your home or prepare your business for an increase of foot or automotive traffic. We have been locally owned and operated since 2004. We’re a fully bonded, licensed and insured paving contractor. Our team is known for its dependable, prompt services. We provide a wide range of services, making us a one-stop-shop for your paving needs. Our pricing quotes are clear and upfront. You can add pomp to your parking lot or fix that troublesome pothole once and for all. Reach out today to schedule a consultation!